My 'just turned' three year old loves puzzles. He has long since mastered all of the easy and not so easy puzzles we have in the house and is looking for his next challenge! 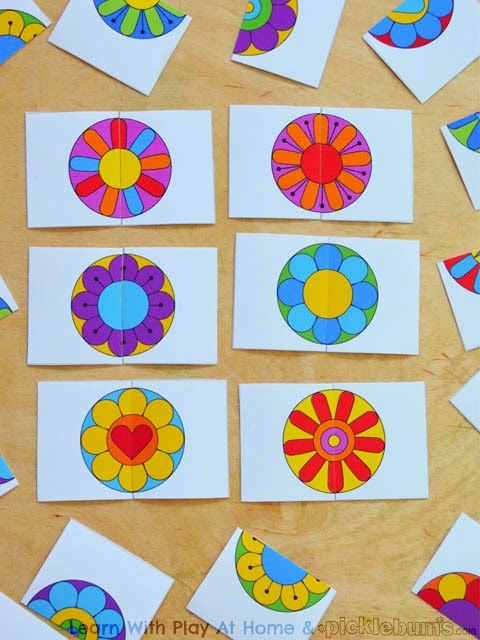 So, in an attempt to keep him on his toes and happily puzzling to his heart's content, I made him a flower matching game. The rules of the game are simple, find two matching halves of the flowers. Once you've done that you can go crazy mixing and matching and laughing at yourself hysterically because of course those two halves could never go together! If you are really clever you can find two halves that are the same flower but in different colours! 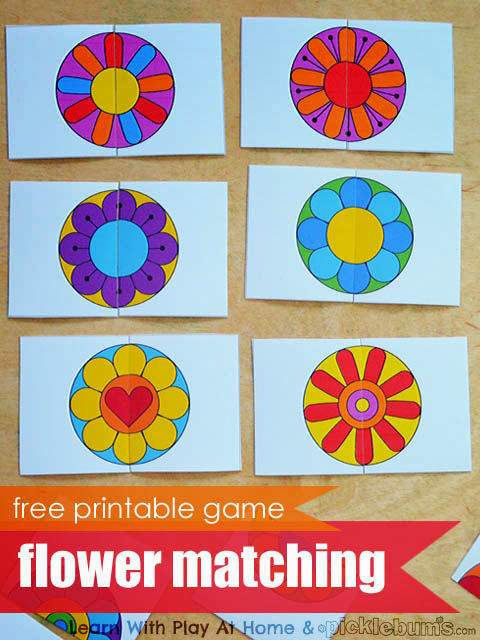 You can download the four page flower matching pdf document here. There are four pages with each of the eight different flower designs in four colourways. Once you have downloaded the pdf then all you need to do is print it, cut out the cards and cut each card in half following the guide line. Then you are ready to play! For beginners you can simplify this activity by starting with just half a sheet of flowers. This gives you just four different flower designs to begin with, rather than the same designs in different colours. 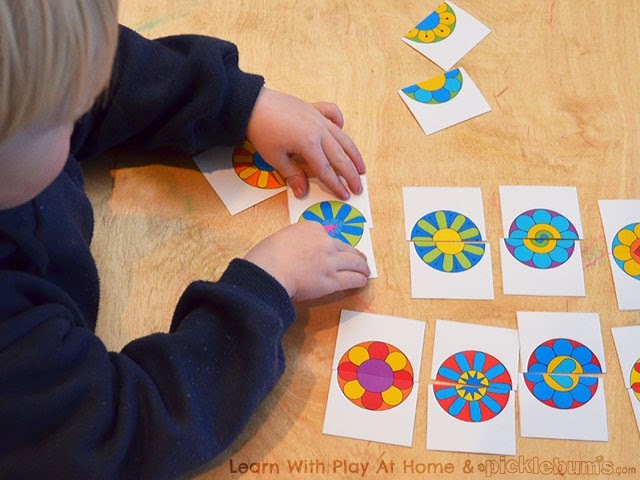 Start by arranging one half of each flower on the table and encouraging your child to look for the matching halves. 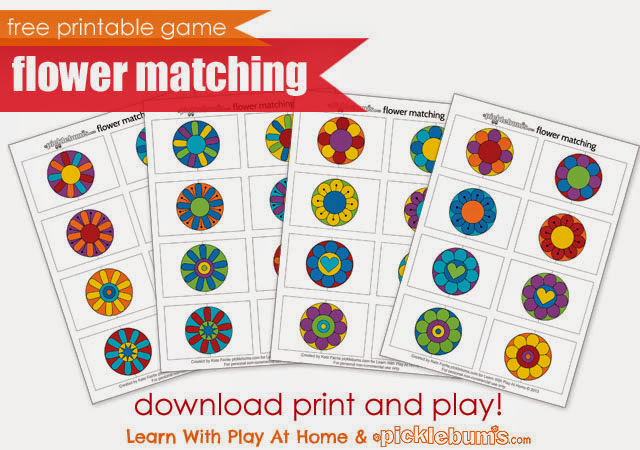 For a puzzle pro or older child just mix up the full set of cards and see how quickly they can match up the pieces. To extend this activity further, you could play memory with half the set of cards. Turn all the cards over on the table and take turns turning over pairs until you find two matching halves. 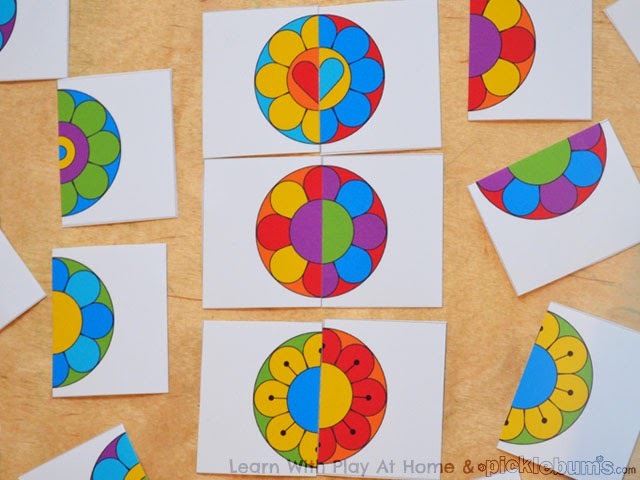 While you are playing you can identify colours, talk about concepts such as 'same' and 'different', introduce 'half' and 'whole' and even discuss symmetry and pattern. Bio - An early childhood educator and Mum of four, Kate lives on a small property called ‘The Pickle Farm’ in rural Victoria. 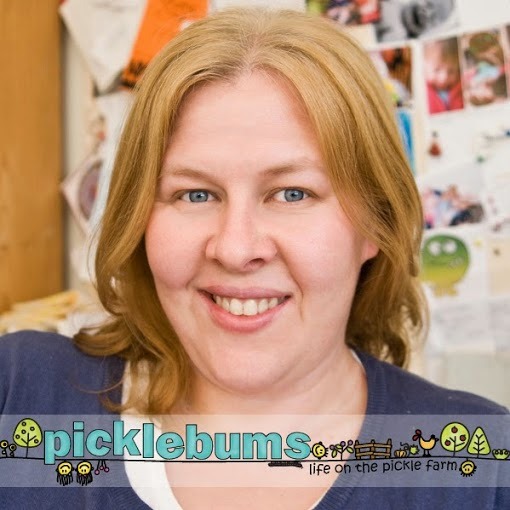 Kate’s blog, Picklebums, has articles about gentle parenting, gardening, family food, activities for kids, free printables and anything else that pops up in her crazy life. Read more of Kate's adventures on her blog Picklebums and you can also find her on facebook , twitter and pinterest. Brilliant, Debs! Just found this in Picklebums round up! I'm in love with this idea, and with her hexi-cards! Love the vibrant colours and the simplicity of this! I haven't tried on the internet dating games but yes supper with someone you don't know can get disturbing from the second you sit down, excellent publish liked studying it.